Back in Chicago this past week with a rental car and no coworkers coming with me to dinner. This was a perfect time to venture further off the beaten path in search of root beer excellence. About 40 miles south west of Chicago lies the city of Joliet, which I think is still technically a suburb. 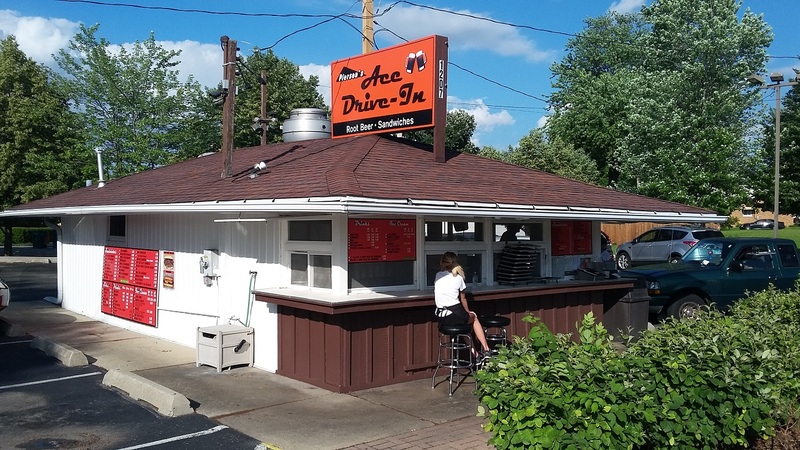 There, one can find the tiny Ace Drive-In, owned and operated by the same person for the past 38 years. This place is a classic root beer stand in every sense of the word. They still have car service, which was the first time I’ve ever had the waitresses come to my window with a tray. 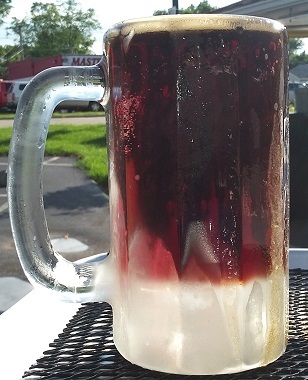 They still make their root beer in house, poured from a tap and served in frosty mugs. They only take cash and they don’t give receipts. The whole place is beautiful and wonderful and a true blast from the past. This has a classic creamy root beer Body but with only a little spice and nothing prominent to jump out at you. It’s well balanced, but seems a little lacking. There is a similar situation with the Bite, which is mild yet also not overly smooth. Some more spices could really improve this. It also has a decent Head, both in height and frothiness, but alas, it is a little shorter and fizzes away a little faster than ideal. Such it is with the Aftertaste as well, which gives but the slightest bit of vanilla to remind you of what it could be. So the root beer is good, but I guess disappointing because everything else here was so amazing, I was hoping for a blow-me-away-amazing brew, instead of a solid standard type. I ordered a Chicago style hot dog and cheese fries and they were delicious. I should have ordered a second dog probably because it wasn’t huge. All and all, this is a great place, well worth the trip, even though the root beer on it’s own doesn’t quite merit it. 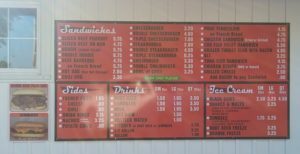 Pierson’s Ace Drive-In. A classic root beer stand in every sense of the word. The menu on the wall. I would love to try it all. 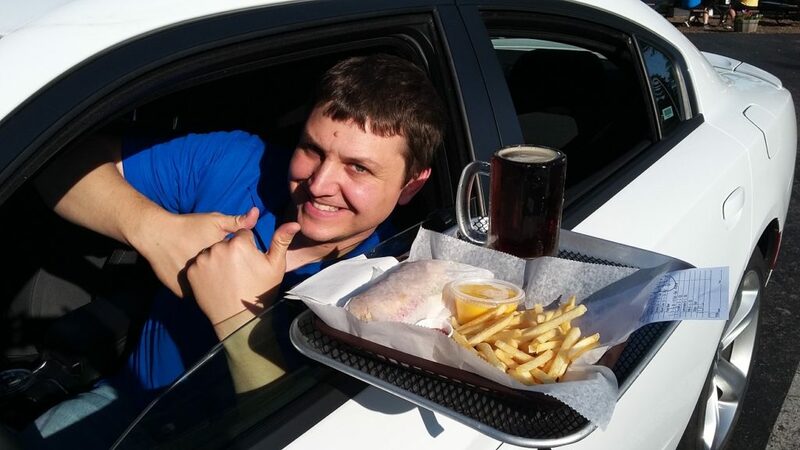 A happy root beer reviewer, getting car service for the first time in his life. Yummy hot dog and cheese fries with a frosty mug of brew.